The battered trucks sputtered and shook as they swung onto the open road and finally carried their Syrian passengers back home. Hours earlier, their dusty makeshift parking lot had been transformed into a stage for the human dramas behind the rare return voyage, with scenes of joy and grief unfolding as some 300 refugees said goodbye to their families and squeezed into vehicles, leaving camps in the Lebanese town of Arsal for their home towns in Syria. The convoy, organized in part by Lebanese authorities and Syrian President Bashar al-Assad’s security agencies, underscores how deteriorating conditions here have led to a crippling dilemma that is dividing families: Refugees must choose to either eke out an existence in an increasingly hostile host country or travel back to a war zone. While fighting in Syria has slowed along the Lebanese border, more than a million registered refugees remain in Lebanon, with many too wary to return to a homeland much changed by seven years of war. For now, there are few indications that the refugees will cross the rocky frontier in any significant number, but the patience of Lebanon’s government and its citizens is waning. Families at the checkpoint Thursday described a decision-making process fraught with uncertainty and tension. Some wanted to return, or believed that life in Lebanon had become the lesser of two bad options, but others saw the trip back as an untenable acceptance of a Syrian government that continues to kill civilians at a pace unmatched by any other party in the war. 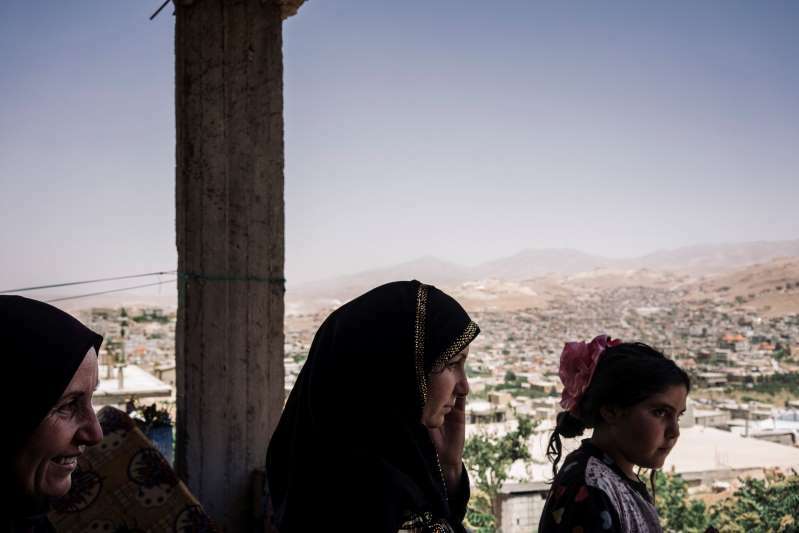 Standing amid the chaos at Arsal’s Wadi Hmayed checkpoint, about 10 miles from the Syrian border, Hamida Khannar lay her head on her mother Halima’s shoulder as the older woman wept. For the 66-year-old, returning to Syria was the right thing to do. Her family there needed a mother’s presence after four long years without, she said, and she barely recognized a grandson she last saw five years ago. But for Khannar, 36, the mother of two sons whose safety she fears for in Syria, return at this stage is unthinkable. With a population of just 4 million before Syria’s war began in 2011, Lebanon has struggled to accommodate the influx of more than a million registered refugees. Although many receive support from the United Nations, Syrians have only limited rights to work or access health care, and forced evictions from makeshift refu­gee camps are on the rise. As Europe and America have closed their borders to Syria’s outpouring of refugees, Lebanon’s politicians have grown increasingly resentful at the burden of care that has been placed upon them. But the refugees have also fallen victim to a complex history. The Syrian military occupied Lebanon between 1976 and 2005, prompting suspicion among some Lebanese who associate them with a foreign government that once controlled the nation’s politics and that is widely believed to be behind the assassination of former prime minister Rafic Hariri. 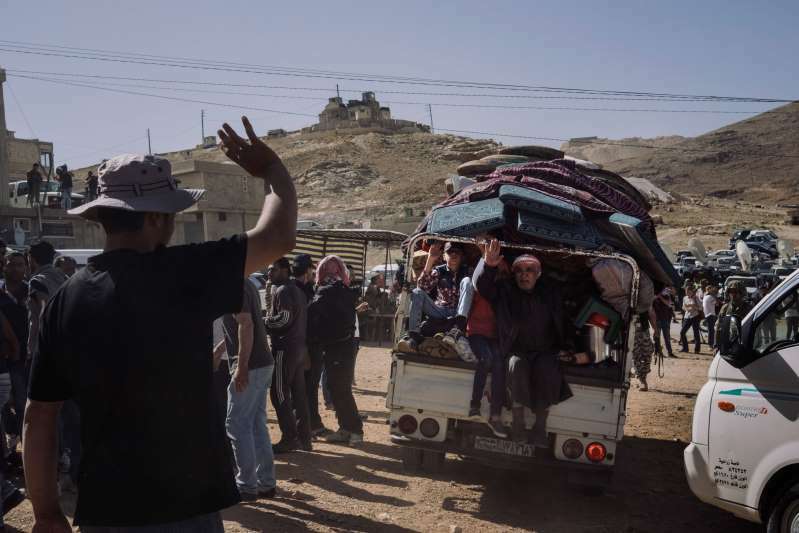 In Arsal, local authorities said that around 3,000 Syrian refugees had submitted their names to be screened by the Syrian government in return for the chance to go home. For those who are accepted, a grace period of six months is promised, within which time young men of fighting age should either join the army or pay an $8,000 penalty. The strength of that guarantee remains untested and with the Syrian army facing chronic manpower shortages, few in Arsal were sure it would hold. More than 400 people were expected to travel home as part of Thursday’s convoy. But by the time the trucks drove away, only 294 people had joined, Lebanon’s General Security Office said.